So I did Chick-fil-A and McDonald’s. Now it is time for Burger King. 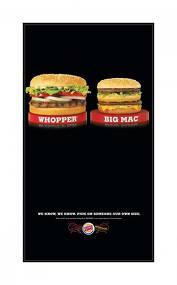 Burger King is known for their Whopper. Everyone knows that. 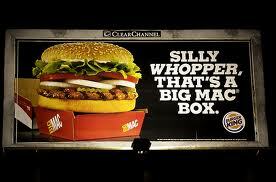 The Whopper is usually the highlighted item in their advertising as well. That is what they want to sell. 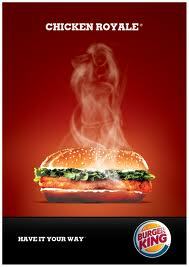 I have come across quite a few advertisements for Burger King and I will post my favorites. This one is comparing the Whopper to a Big Mac. Obviously, the Whopper is bigger. This one is also comparing the two, but this advertisement does not use any extra words to get their point across. The Whopper still wins. Hands down. Now, Burger King does advertise their other menu items, just not as often as the Whopper. This ad is for the Chicken Royale Sandwich. If you look close enough, the steam coming off the sandwich makes a picture of what looks to be a lady, maybe a queen? Either way, that is creative. This next advertisement is a little bit different. 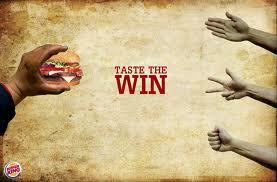 It says, “Taste the win” and has hands with the “rock, paper, scissors” movements. So no matter what you decide to play, you will always win. This burger, probably a Whopper, is what you win. The next two ads I found are for their breakfast items. 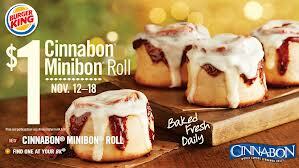 This one is for their delicious Cinnabon cinnamon rolls that you can get for just $1. And this one if for their new muffin sandwich and breakfast bowl. 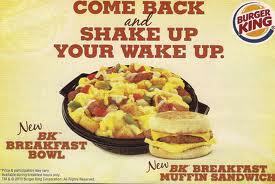 They want you to, “shake up your wake up” with this new breakfast sandwich or new breakfast bowl. What better way to start the day, right? Lastly, I have an older advertisement. He looks like Bill Cosby, but I am not too sure. But, the, “Have it your way” gets doubled now with the new double meat burger. Still delicious with twice the meat. 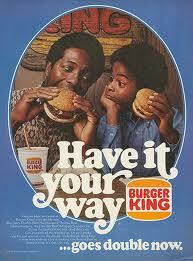 Burger King has some great ads out there, but I wish they would be more diverse in what product they are advertising. 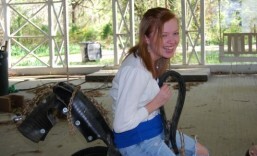 Almost all the Google images that came up were for the Whopper. Okay, I get it, the Whopper is their best menu item, but come on, shed some light on those other menu items.